International auto transport is the specialty of All American Trucking & Transport, Inc. For over a decade, overseas auto transport has been professionally handled by our San Francisco team. When deciding who will handle your international motorcycle transport or other vehicular needs, there is much to be said about experienced hands in the transport industry. The company has a network of trusted and proven partners that specialize in international auto shipping for all manner of vehicles you may own. Whether you need a covered transport for that rare roadster, or you need an economic solution to get your vehicles there safely with as little damage on your checkbook as possible, All American Trucking & Transport, Inc. has you covered. Anything with wheels, skids or treads, engine or no! All American is a company that does specialize in “international car shipping,” but that term doesn’t do our service much justice, as you can hopefully see from the short list. If you have any questions as to the rates and the services provided with your shipment – send us an email or call, we’d be more than happy to accommodate your request and get your vehicles to you in a timely and safe manner. 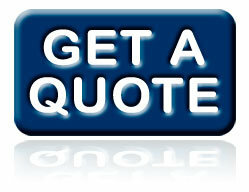 Using our service, you will receive a quote for the shipping charges, your booking details and how, where and when to drop your vehicle off. You will be provided the details of the ETA’s (estimated time of arrival) as well as a time line of where your vehicles will be. One of the benefits of using our transport service is that we will take care of all logistics and utilize our network of shipping services. If your vehicle needs air, water and finally land transport, all modalities are part of your estimate. Our service providers are accredited providers, and carry the necessary insurance and licenses to meet or exceed local and international regulations. No matter the country, your vehicles are safe in our network. Unlike many Johnny-come-lately companies, All American Trucking & Transport provides guaranteed delivery of your goods based on our experience and that of our partners. The combined experience we have with international auto transport means your vehicles are transported efficiently and safely, using the best and safest methods. Every delivery, every vehicle is unique and requires a special assessment to determine the best routes, handling and modes of transportation. With an eye for detail, our well-trained team will quickly determine your needs and match your transport with the necessary resources. 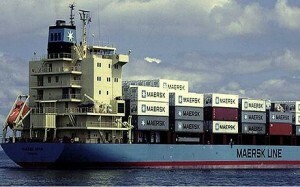 International car shipping is only the tip of the iceberg with our level of professional experience. In rare cases, container shipping is needed, using a train or tractor-trailer combination to ship your goods from point A to point B. No matter the need, you can trust your most precious cargo will arrive in our capable hands. Foreign law regulating international auto transport is often confusing and ever-changing. To the best of our ability, our network partners will inform you of any hidden charges imposed by the many different checkpoints your cargo will need to pass. As you can appreciate, these laws are in constant flux and at any moment, a tax or tariff of some sort may be levied by a foreign entity that is outside of our control. Though we do pride ourselves on our level of customer service and satisfaction, it is in your best interest to be personally aware of any such duties and fees that foreign governments may require. There are usually some import taxes that are due, usually imposed at the port of the final destination. These international auto transport fees are the sole responsibility of the owner of the vehicles, so be aware of these laws. The best way to research these laws and fees is to contact the foreign embassy or consulate of the country you are shipping to (the same is true if you are receiving cargo). There may be other legal restrictions on transporting your cargo, such as height and weight limits, or engine limitations, etc. Finding out the law ahead of time will save plenty of confusion down the road as you hire us for your international auto transport.